The National Association of Realtors’ Pending Home Sales Index measures the number of contracts to buy homes that are signed in any given month. 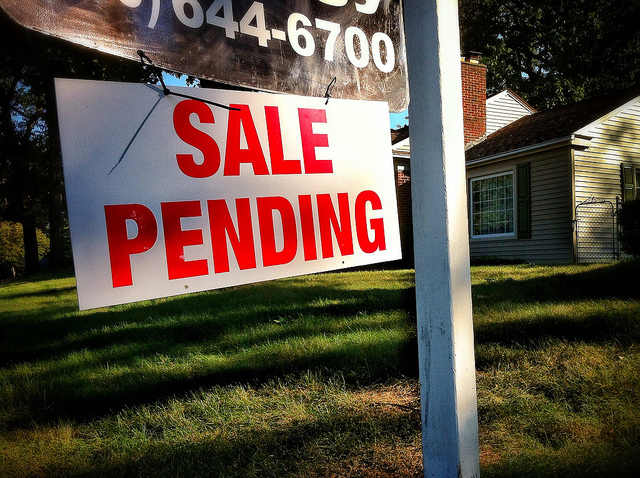 Because it tracks signings and not closings, it’s considered a good indicator of future existing home sales. In June, the index increased 1.5 percent, marking the first gain in three months. Lawrence Yun, NAR’s chief economist, said the improvement is a welcome sign and hinted that prospective buyers might even be better positioned in coming months. “It appears the ongoing run-up in price growth in many areas and less homes for sale at bargain prices are forcing some investors to step away from the market,” Yun said. “Fewer investors paying in cash is good news as it could mean a little less competition for the homes first-time buyers can afford.” In other words, at a time when the supply of homes for sale is lower than normal, competition among buyers is already high in many markets. However, with fewer investors and all-cash buyers active in the market, there should be more room for traditional buyers to successfully find and close on a house. More here.